Matt Smith Quitting Doctor Who Next Year? Matt Smith has bowled over even the most conservative Doctor Who fans in his tenure as the show's time-traveling wizard. 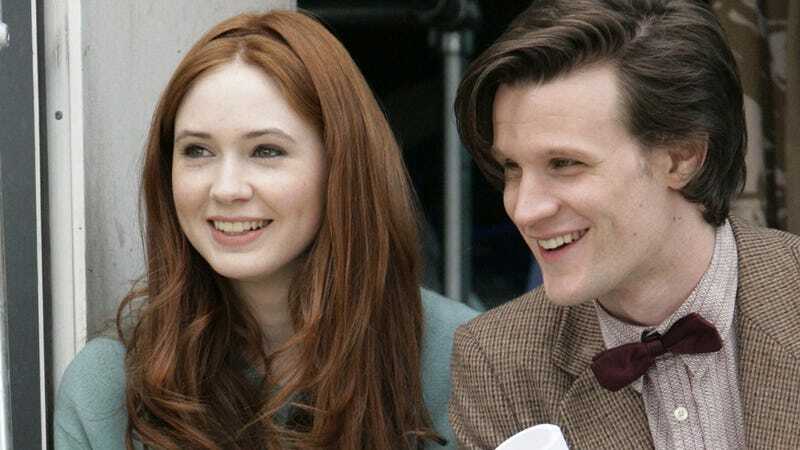 So it's dreadful news that we could be looking at a new Doctor a year from now — just in time for the show's 50th anniversary in 2013. Well, hopefully soon, you know. I've got another year of Doctor Who, but then I'm certainly going to come and give it a shot – come and hang out in LA. This utterance is being widely taken to mean that Smith might have one more year of Doctor Who before he hangs up the fez for good. But caution is indicated — we don't know if that's what he really meant. Smith certainly spent a lot of time in L.A. recently, during which he was rumored to be talking about projects with Hollywood people. Will the Doctor wind up regenerating right before the big 50th anniversary celebration two years from next month? In that case, we could see the Twelfth Doctor meeting his predecessors fairly early in his tenure — or doing whatever the BBC and showrunner Steven Moffat end up cooking up. In any case, given that the "fall of the Eleventh" was teased in the season finale, it's entirely likely that the Doctor's regeneration is a key part of the climax of Moffat's storyline involving the Silence and the Ultimate Question and so on. Of course, we won't know any of this for sure until next year. Meanwhile, we have just five words for Matt Smith: Rex Is Not Your Lawyer.